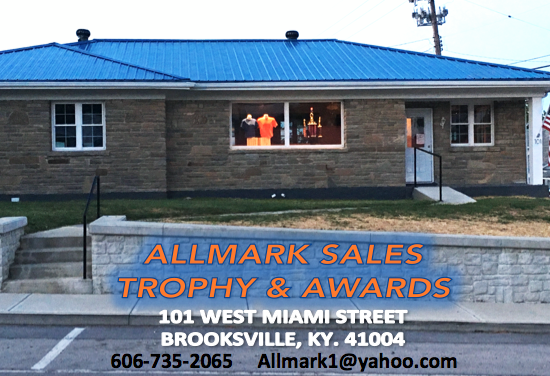 Welcome to ALLMARK SALES. "YOUR ONE STOP SHOP"
- We strive to provide the best customer experience to you. - We create, design, and customize the product you choose and make sure you walk out the door with a smile on your face. - We customize a variety of materials for your every need and not limited to- business brochures and cards, candidate announcements, sporting events, car shows, truck and tractor pulls, baby shows, spirit wear, and much more. - Please browse our site on the products tab to see some examples of our work. If you have a few minutes enjoy the video at the top that displays some of our work. - We look forward to the opportunity to serve you. Please call us with any questions you may have. We have a huge selection to choose from. Some examples are shown on this site but if you do not see what you want, don't hesitate to call us. We will work hard in designing the right product for your need. All products can be customized to fit your specific need.